The biggest and baddest of Brisbane's Green Beacon's beers is back for a third round of heavy-hitting, hop forward action. 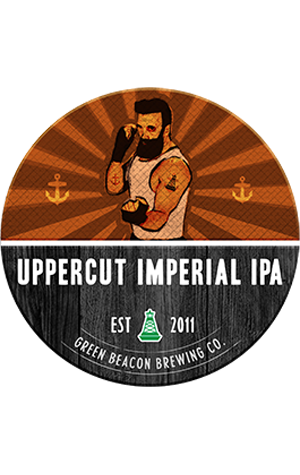 The Uppercut is an ever-evolving beast with its exact makeup changing round by round according to the brewer's whim, but "always bold, always courageous. The latest, draught-only release pours a bright gold with the brewers aiming for the "big hop aromas typical of classic West Coast IPAs". As such, the malt side of things has been kept lean to "let the hops shine through in all their glory." What this means, according to the GB brew is what you'd expect from a beer called Uppercut: "Big hits of American hop bitterness, complete with fresh citrus, pine and grapefruit."